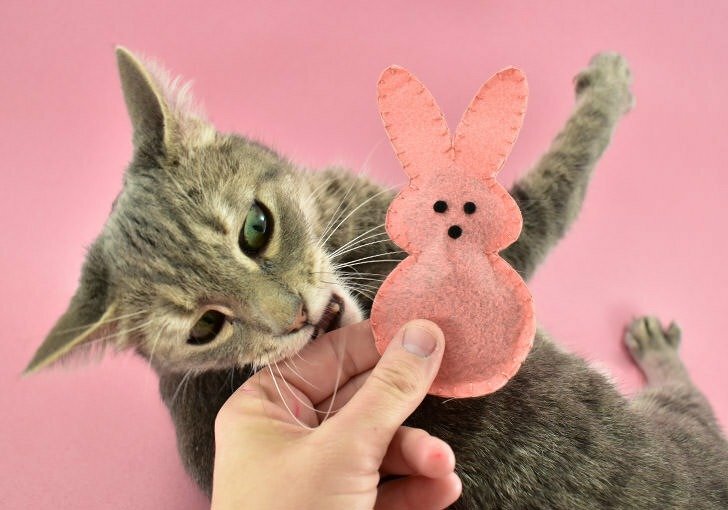 These Bunny Peeps Catnip Toys are the sweetest DIY you can make for your pet this spring and using acrylic craft felt, they’re cheap, too! 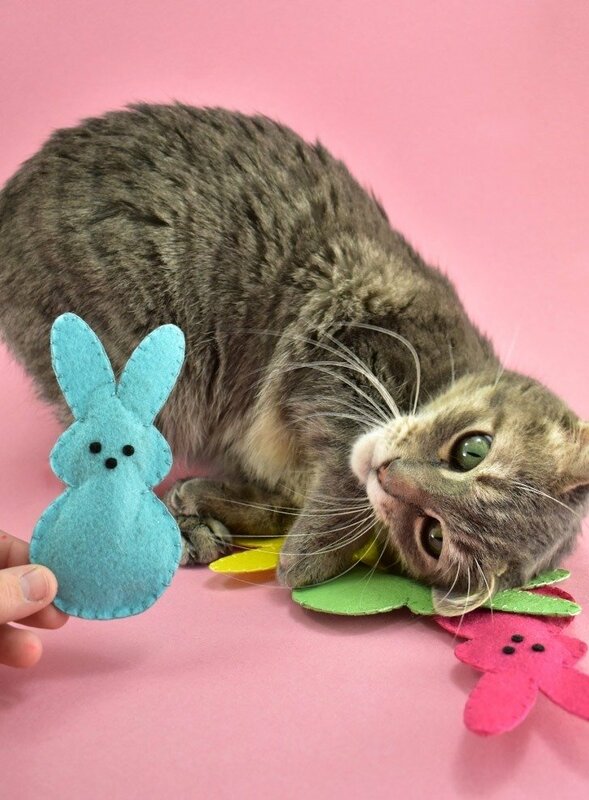 Prefer the original Easter Peep Catnip Toys? No sweat, get the original post here. Let me first start off this post with an apology. 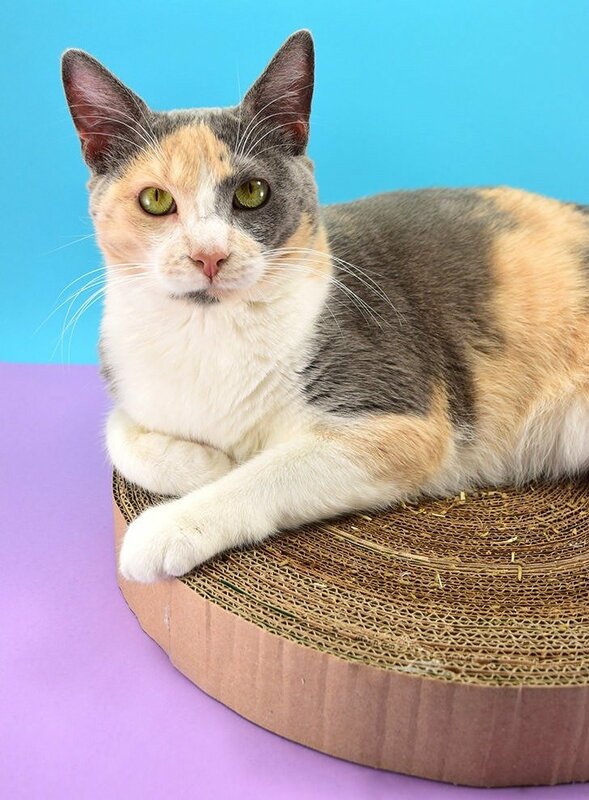 There are a LOT of cat photos on this page. Like, a LOT. You’ll have to forgive me… my Marla is one of my favorite little beings on the entire planet and this time last year she was healing up from having a kidney removed AND most of her teeth removed. She had 3 surgeries in only a few weeks. And when she was sick I was so, so sad. And now when she’s happy I take, like, a bazillion pics. So. Many. Photos. But look at how much my girl LOVES her new toys. The girl just CAN’T STOP SHOVING HER HEAD INTO THEM. That’s one of the most surefire signs of TRUE LOVE when you’re a kitty cat, right? And rubbing them ALL OVER her adorable little face. If you’re a regular reader around here and have been for years, this might look a little bit familiar to you and that’s because this post is redux. Basically, since I love, love, LOVE my Cricut Maker I have decided to make SVG cut files for some of my fave projects around here. Because, in all honesty, sometimes I just really love a project I’ve done in the past and I want to make it again. 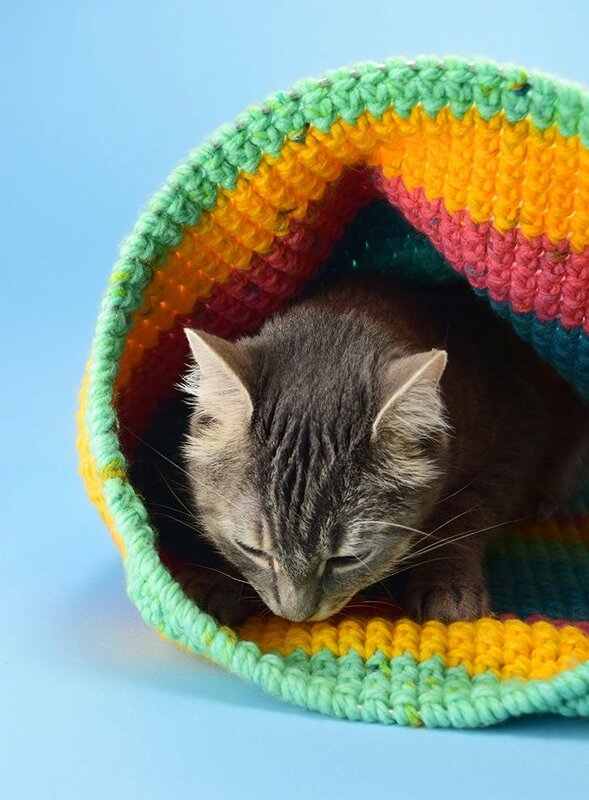 And these cat toys, though not the most popular things on this blog, are something that I really loved making the first time and loved making again the second time. And that, in my book, is a pretty darn good project WORTH sharing over again, right? Right! 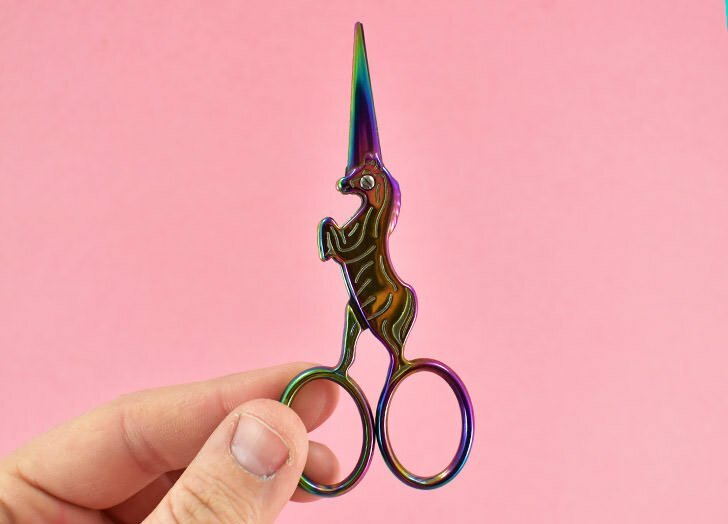 Even though this new tutorial has some flashy new photos with lots of jazzy new colors and fancy cut files, you can still TOTALLY rock this project by hand. 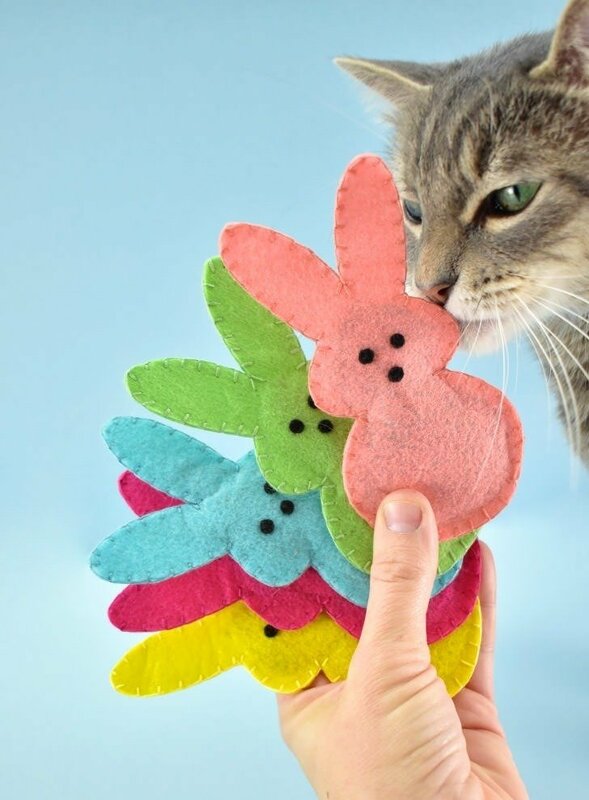 In fact, that’s how I made these Peeps Felt Cat Toys the first time around and that method still totally works. But if you happen to have a Cricut Maker, then I’m super stoked because this project just got to be super fast. 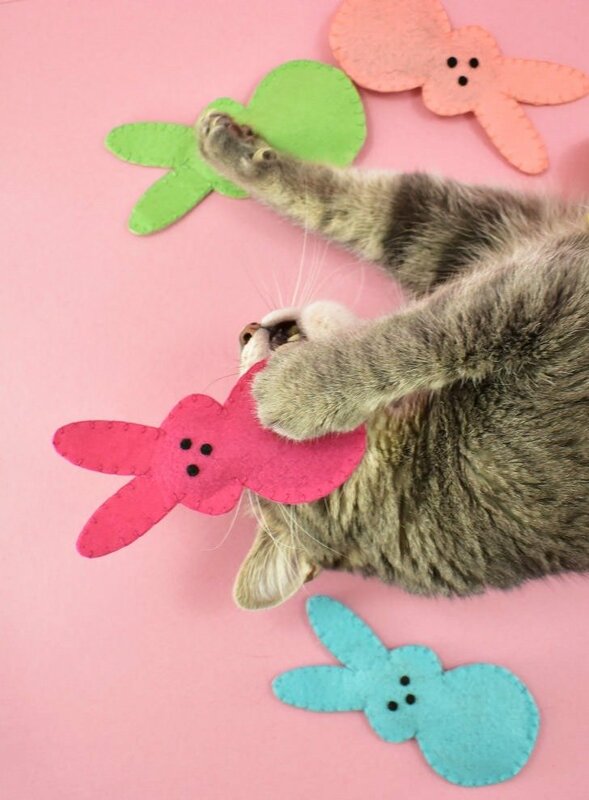 Want to make some adorable Bunny Peeps Catnip Toys? 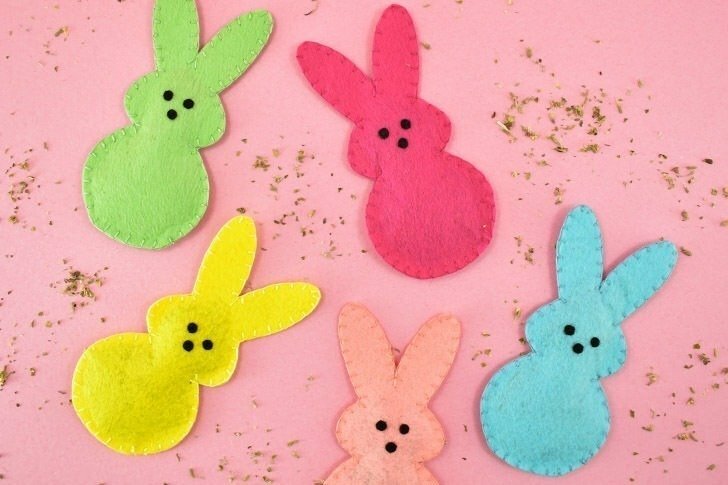 Let’s HOP to it. 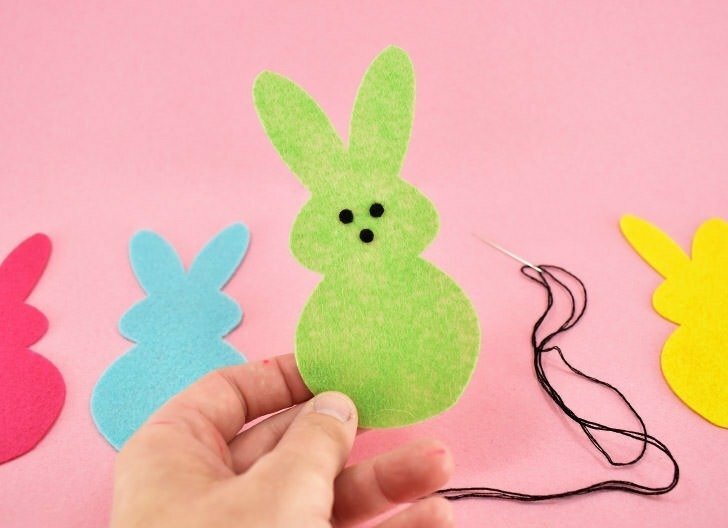 For each bunny toy, you will need 2 bunny cut outs. You’ll also need 3 little black dots for the eyes and nose but that can be accomplished in 3 different ways. The first is to cut the itty bitty circles out of black felt, which I totally recommend you do if using a cutting machine, and tacking them on with black embroidery floss. When trying to cut these little guys out by hand, however, it becomes a bit more difficult because they’re really darn small. 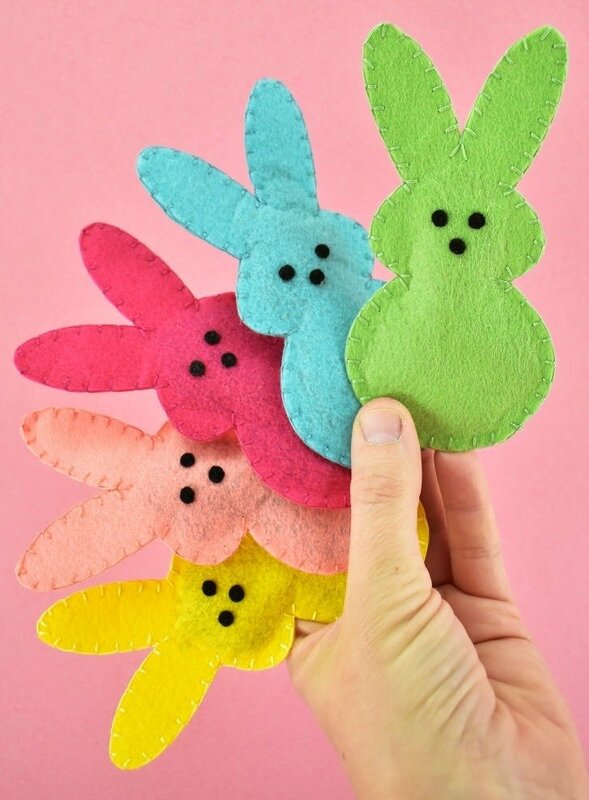 So, if cutting by hand I’d recommend either embroidering circles onto the little bunny faces OR marking them with a black fabric marker. These days I’d far prefer the embroidery method for a cleaner finished look, but the marker method is fast and works pretty darn well, too. (again, more details about the marker method in the original post). 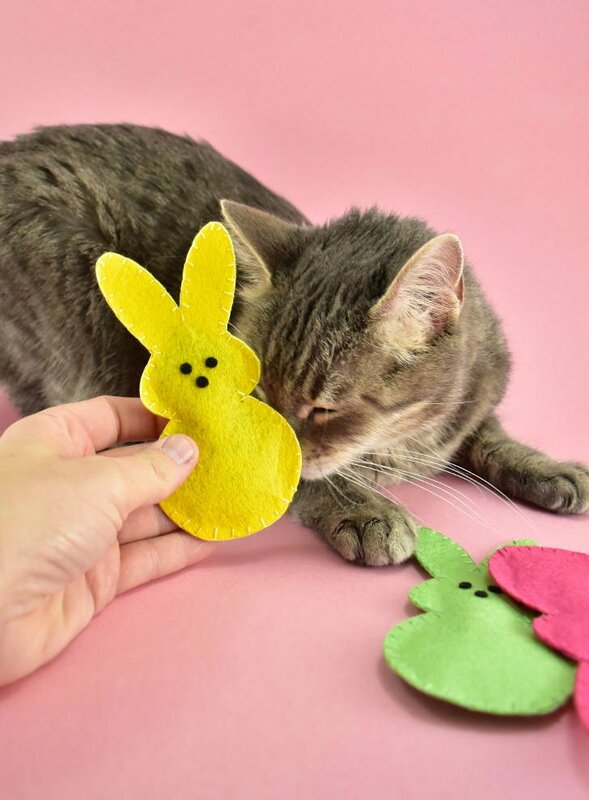 Since we’ve already covered how to cut these guys out in the original post (which you should swing on by over here to check out the original Peeps Bunny Cat Toys post with LOTS of deets if you need help) we’re going to go ahead and start with what you do AFTER your bunnies are cut and ready to go. 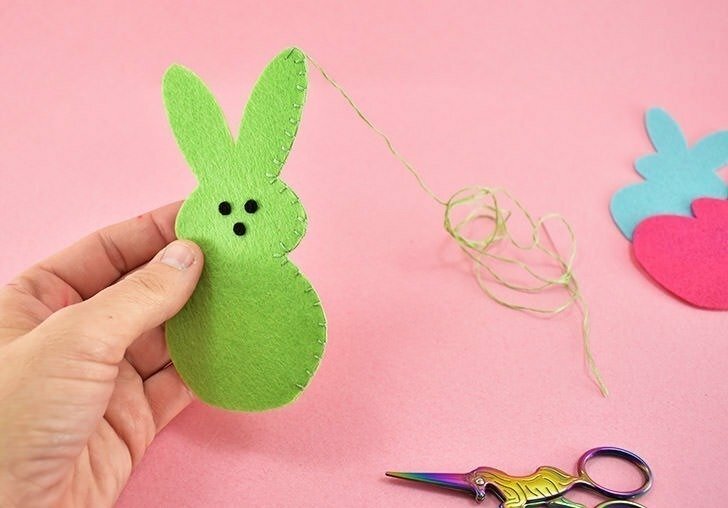 To sew your bunnies together and keep the catnip INSIDE of the toy rather than sort of falling out every once in a while, we’re going to sew around the shape using the blanket stitch. If you need more help with the blanket stitch, I have a whole whopping post about how to do it and I can’t possibly do the stitch justice in one little paragraph here. 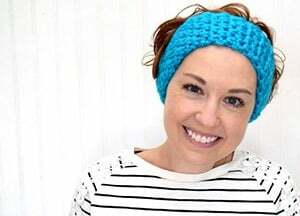 To keep the stitch nice and tight around the curved shape, place 2 stitches where the curves meet, like the body to the head and the head to the ear. See how there are 2 stitches that look like a > sign? 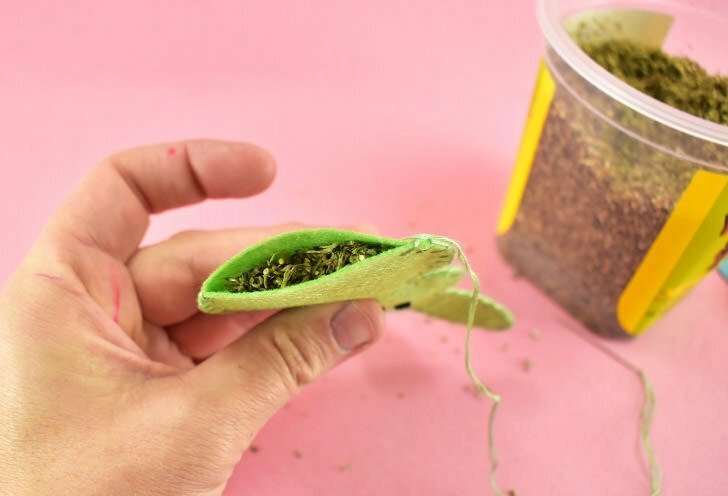 That will keep everything in the toys IN the toys and give you a nice, clean edge in your stitching, too. 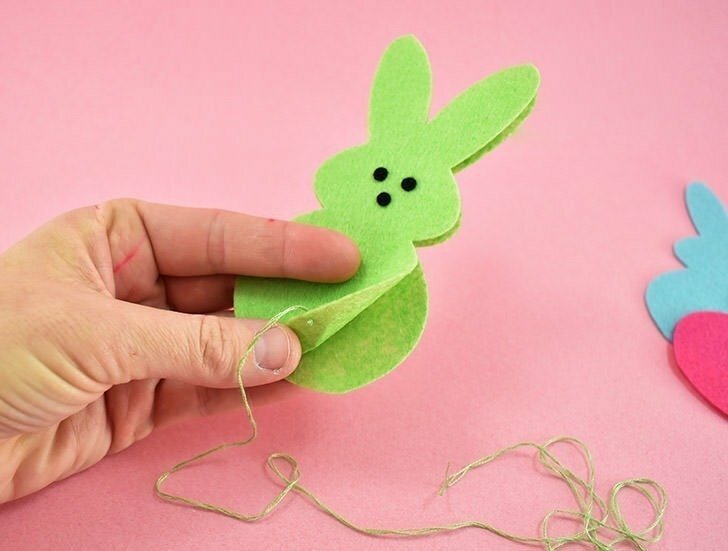 Once you work your stitching around to where you’ve reached almost the bottom of the bunny, start adding a few pinches of catnip inside. Since all five of my toys up there are not yet the least bit frazzled and don’t have a single cat hair on them, you know they’re fresh out of the craft room, having never been touched by any kitty in this house! There we go. Get it, girl. This is absolutely adorable! 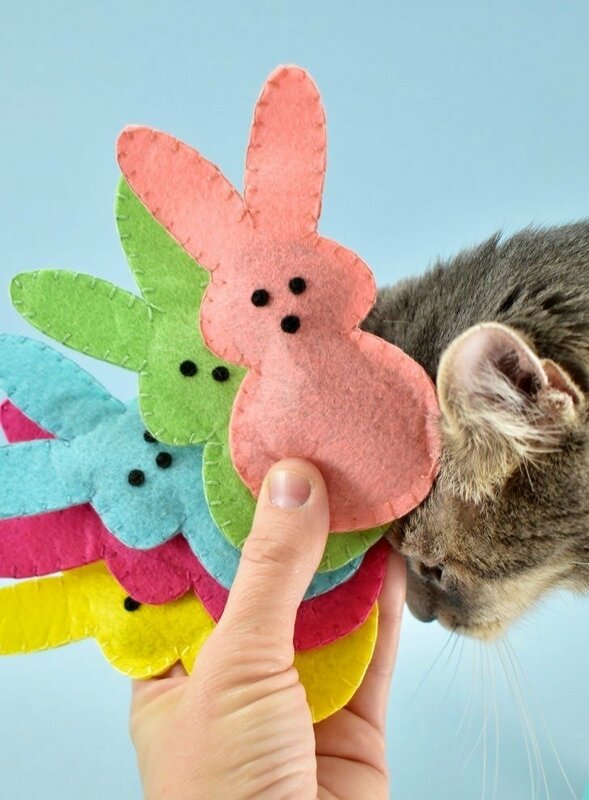 I wish could make something like this for my pup, but she would totally just chew it to pieces. Nice! But in your list of supplies you don’t mention needle and thread. Any particular thread suggestion since the cats will likely ingest some? Thanks! I updated the supply list but I’ve never had the cats ingest any of the thread. The catnip does wiggle free but they’ve never fully destroyed any I’ve ever made and I’ve never seen thread coming loose. 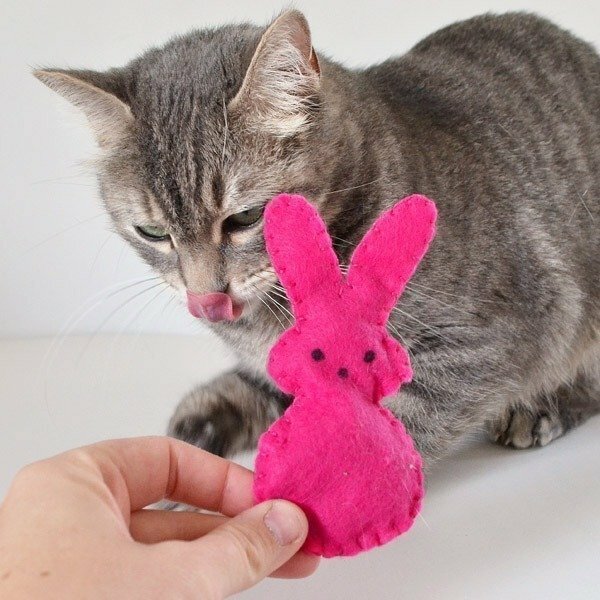 If you do see that I’d suggest taking it away from your kitty before the thread starts to pull free. 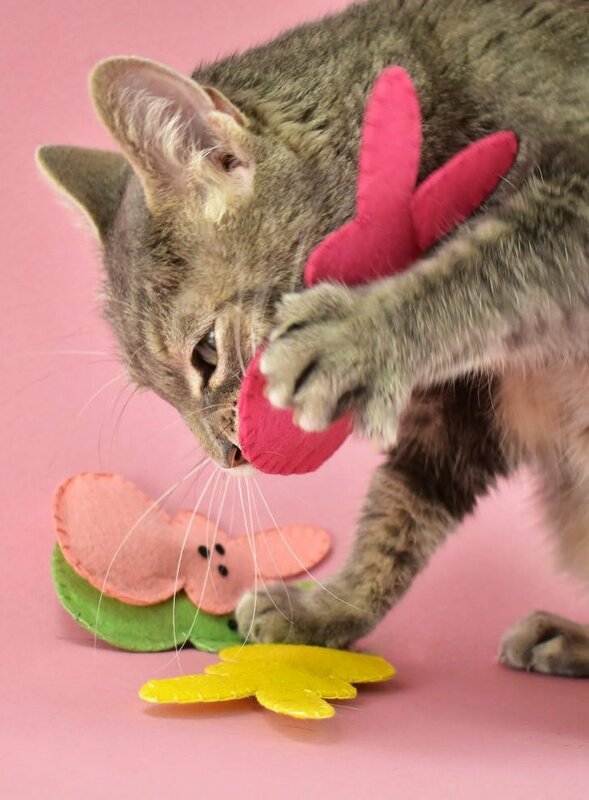 I’ve never had a thread from a catnip toy come lose either. 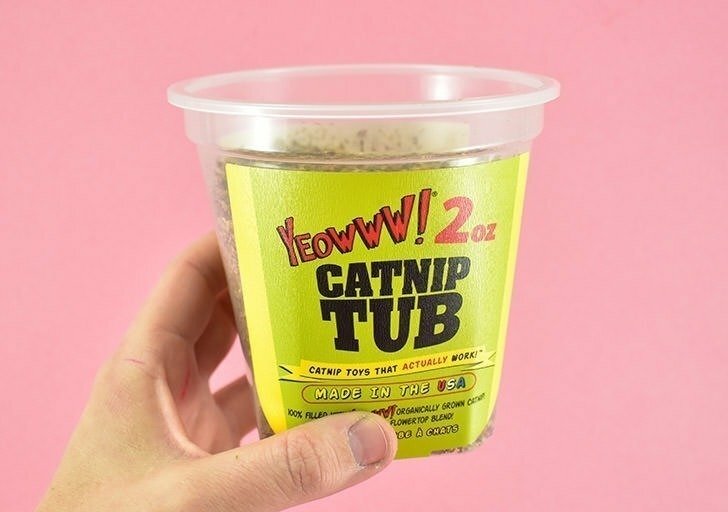 I love these thank you my kitties will love this in their Easter baskets of treats. Yay! 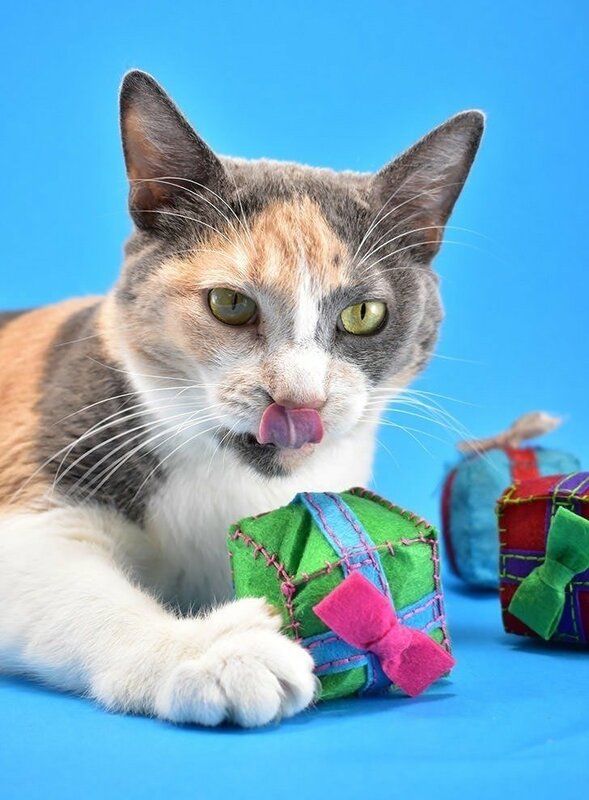 I love with the pets get holiday gifts! hi can you use any kind of felt? polyester?